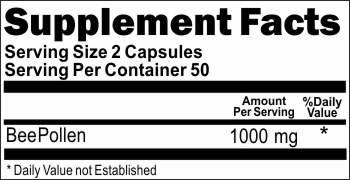 DIRECTIONS: For adults, take two (2) capsules one or two times daily, preferably with a meal. If you have never taken bee products, start with a small serving per day and increase gradually in order to assess whether you are allergic. WARNING: Pregnant or lactating women should consult a doctor before using any product. 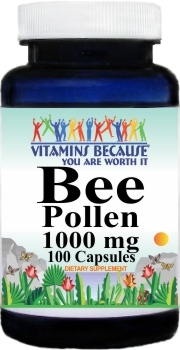 Avoid this product if you have allergies to pollen, bees or bee products. Consult doctor before use if you are taking ANY MEDICATIONS OR REMEDIES. Discontinue use and consult your doctor if any adverse reactions occur, such as wheezing, difficulty breathing, hives, skin or mouth irritation or gastrointestinal discomfort. NOT INTENDED FOR USE BY PERSONS UNDER THE AGE OF 18.